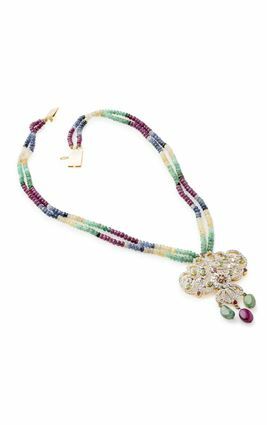 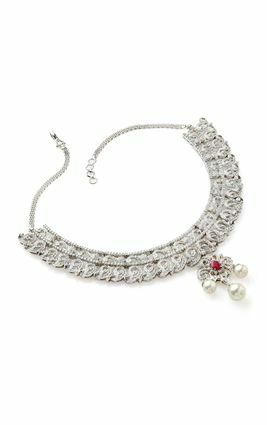 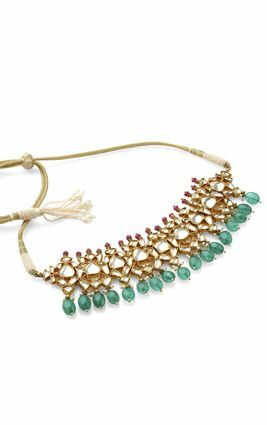 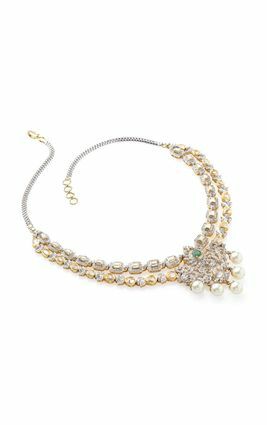 An antique chaand shaped motif set in gold polished silver with rubies, cascades down from a ruby and emerald flower, linked into strings of shimmery white china pearls that connect to a gold-polished chain with rubies and emeralds. 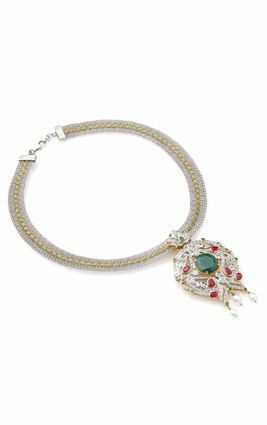 The chaand motif has delicate emeralds drops at the bottom, making it even more graceful. 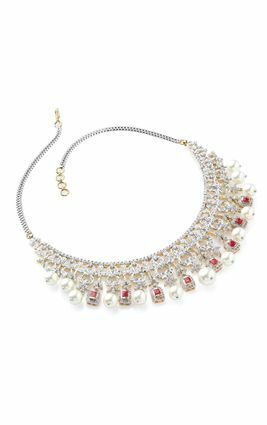 The earrings of this set mimic the chaand shaped pendant with accuracy. 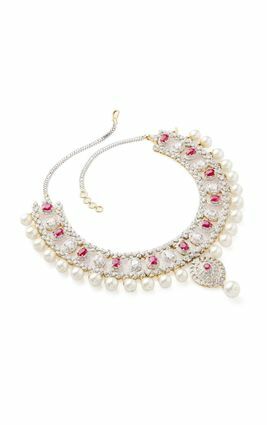 An antique chaand shaped motif set in gold polished silver with rubies, cascades down from a ruby and emerald flower, linked into strings of shimmery white china pearls that connect to a gold-polished chain with rubies and emeralds. 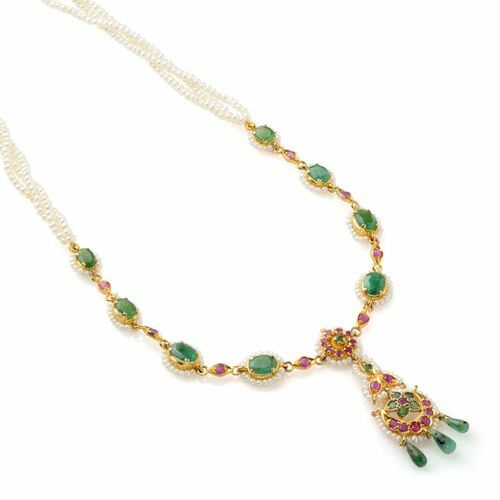 The chaand motif has delicate emeralds drops at the bottom, making it even more graceful. 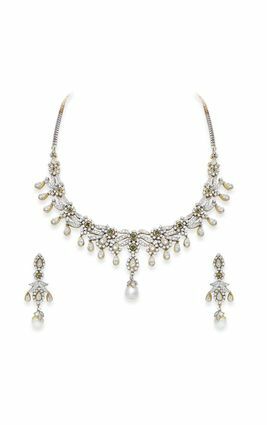 The earrings of this set mimic the chaand shaped pendant with accuracy.